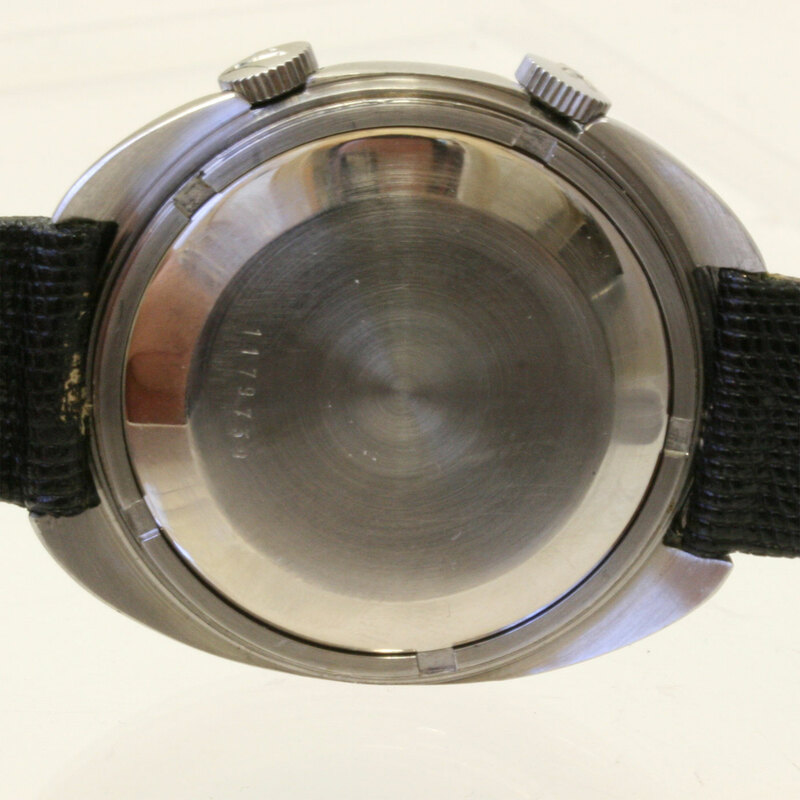 Product code: 808 Categories: Sold Items, Sold Watches. Certain watch companies are known for certain models or styles that they have produced over the years, and the Memovox by Jaeger Le Coultre is certainly one of those iconic watches. 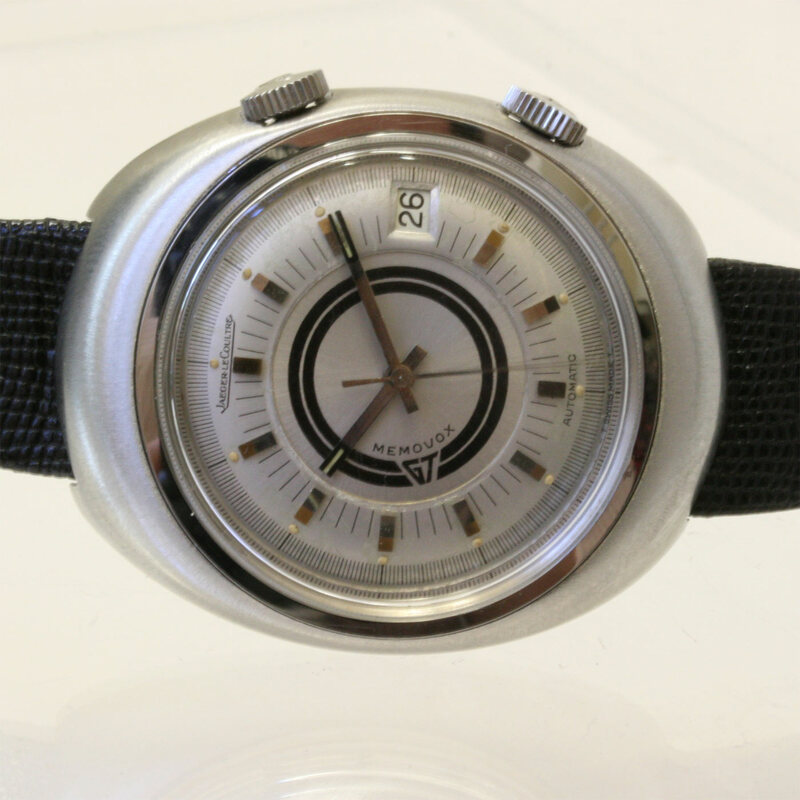 This particular model is known as the Jaeger Le Coultre Memovox “GT” – for Grande Taille, meaning large size, made for the French market between 1970 and 1972. With the alarm function easy to set by the crown at the 2 O’clock position, it really lives up to its other name as the “cricket” watch due to the sound that the alarm makes. 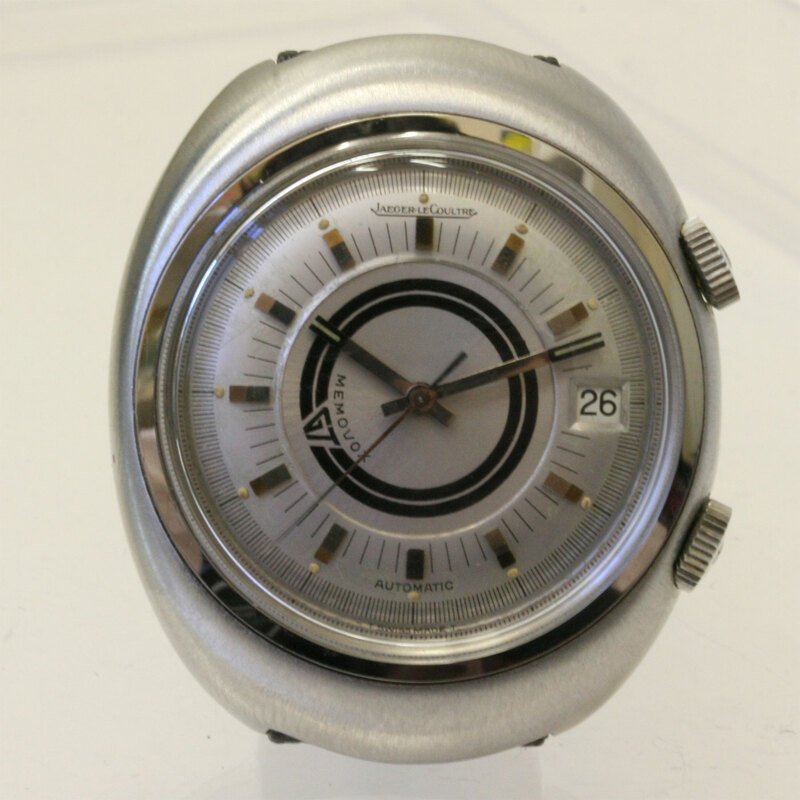 This particular one dates from the early 1970’s and is in a fantastic brushed finish stainless steel case that measures 37mm x 45mm, and has the date function at 3 O’clock. This is a fantastic classic watch with a fully jewelled automatic movement. Tag: Jaeger Le Coultre Memovox.